Fitzjohn's Avenue rising to Hampstead. I came upon this postcard recently and though it is well over a hundred years old I immediately recognised the scene. Directly ahead is Fitzjohn's Avenue rising to Hampstead, one of the highest points in London. 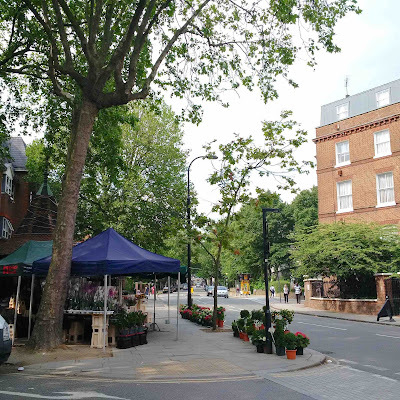 The avenue was laid out in 1876 and lined with chestnut trees and handsome villas in a variety of often fanciful styles; already in 1883 it was described by Harpers Magazine as 'one of the noblest streets in the world'. Its early inhabitants included Lloyds underwriters, shipowners, auctioneers, silk manufacturers, a wine merchant, a director of Hull Docks, an Arctic explorer, an Islamic scholar and several artists. I went to the spot and took this photograph to compare it with the postcard. The postcard shows a water trough in the foreground for horses about to make the climb. And to the left there is a fountain under a conical roof. 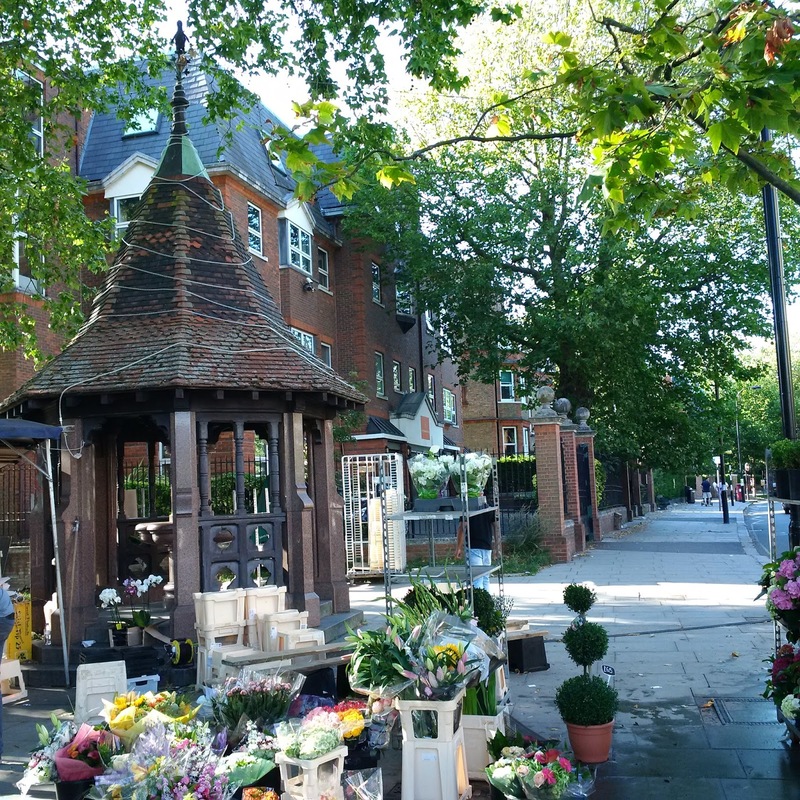 Today the trough is gone and the fountain serves as an occasional flower stall. 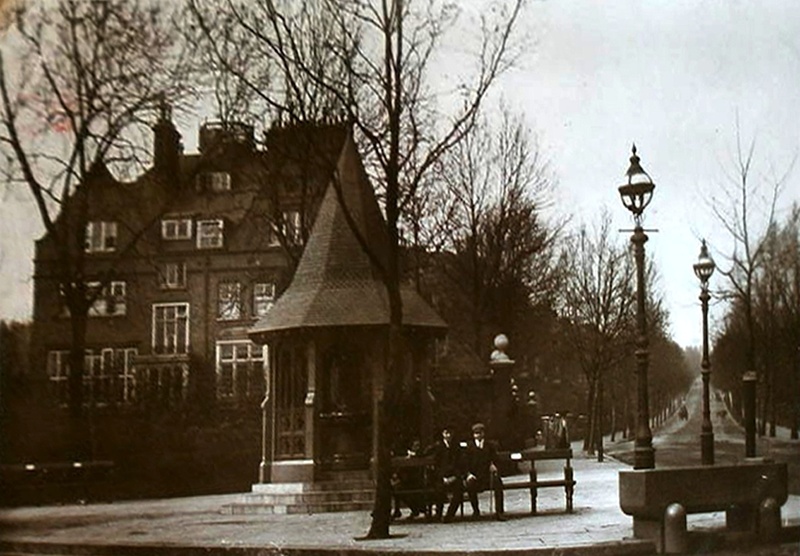 This monochrome photograph, dating to about the same period as the postcard and taken on a winter's day when the trees were bare, shows the scene clearly. To the left is an open plot, no house stands on it. Today it is built upon by a Territorial Army centre. 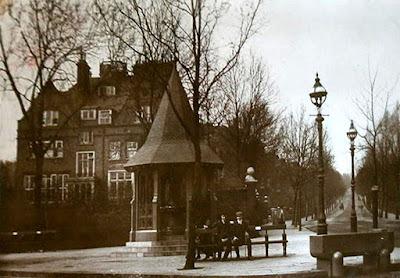 Beyond the fountain is a house whose address is 3 Fitzjohn's Avenue. You can see the same house through the trees on the face of the postcard. To Florrie Sambrook c/o Lady Salt. 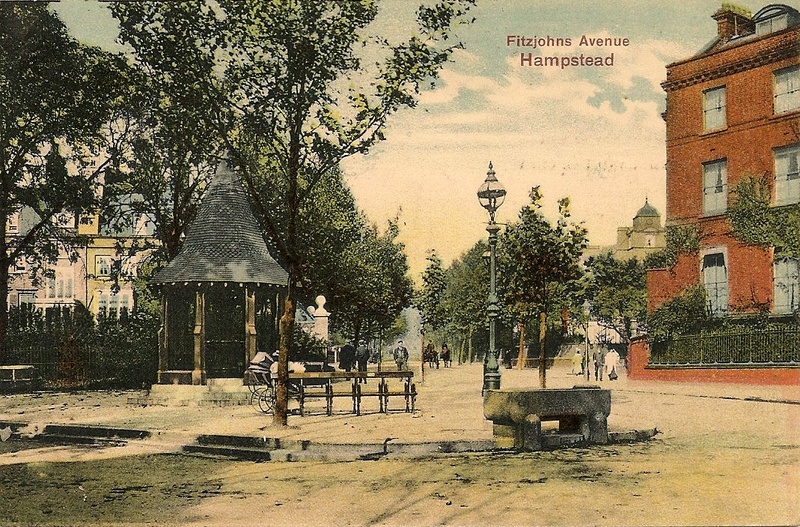 From this house at 3 Fitzjohn's Avenue my postcard was sent by Lucy to her friend Florrie on 3 September 1907. From Lucy at 3 Fitzjohn's Avenue. I am afraid you will think I have quite forgotten your tie pattern, but hope to send it the end of the week, been so very busy. 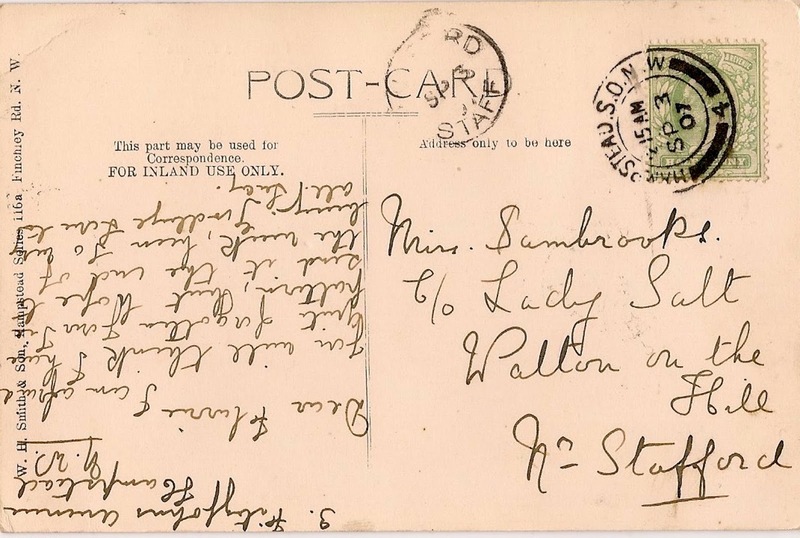 This message on the back of a postcard is almost all we know about Lucy. She is in service at 3 Fitzjohn's Avenue; in what little spare time she has she is working on a pattern borrowed from her friend Florrie who also is in service but far away in Staffordshire. 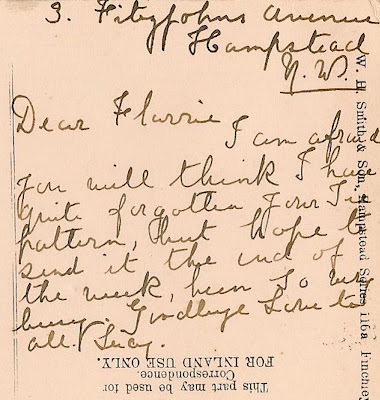 'Love to all' suggests that Lucy knows not only Florrie but others there. It is tempting to think that they 'all' know each other from Staffordshire, that they all come from there, but as we shall see they probably first knew each other not in Staffordshire but in London. Isaac Lewis, diamond merchant and financier. The addresses in London and at Walton on the Hill tell us more, if not about Lucy and Florrie then about the people who employed them. 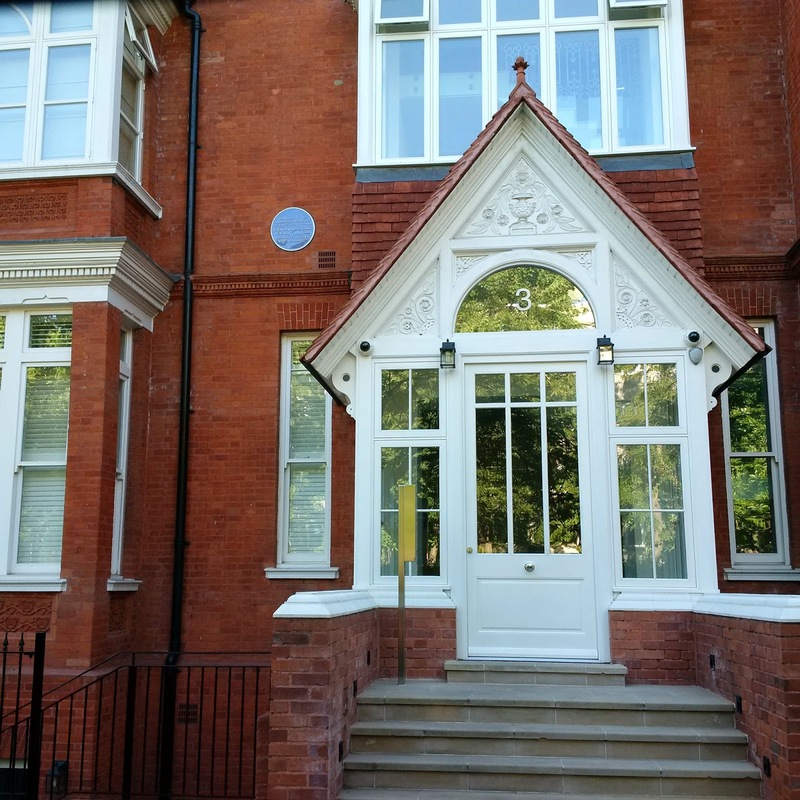 The house at 3 Fitzjohn's Avenue was built in 1876 in the Arts and Crafts style and first bought by Isaac Lewis, who was born in Lithuania, then part of Russia, and in 1870 went to South Africa where he made his living as a travelling merchant with his cousin Samuel Marks. Their fortunes flourished when they found themselves among the first to be at the Kimberley diamond field as it was being opened up; they sold provisions and equipment to the miners and soon ventured in diamonds themselves. In 1873 he came to England where he married Sarah Ann Tickton, the daughter of a rabbi of Sheffield, and returned with her to South Africa where he and Marks built up a large financial and industrial enterprise. 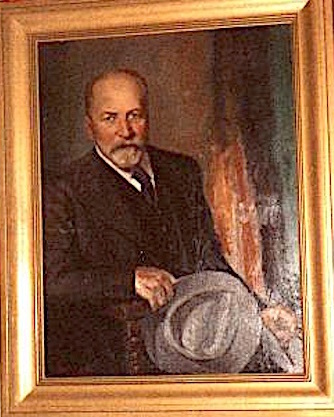 In his later years he lived in London to oversee his company's affairs in Britain and on the Continent before returning to Cape Town where he died in 1927. He is buried, however, at the Jewish Cemetery in Willesden, London. At some point before 1916 Lewis sold 3 Fitzjohn's Avenue to August Ries, a banker born in Wurtemberg and a British citizen. Ries was a partner of L Hirsch & Co, a firm that made its money from South African gold mines and British coal mines. Ries and Lewis must have known one another through their business affairs: the London business addresses of Lewis and Ries were the same, Warnford Court, Throgmorton Street. But I do not know when Lewis sold 3 Fitzjohn's Avenue to Ries. 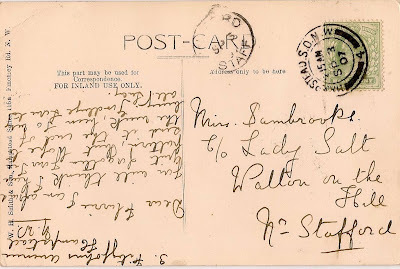 Was it before or after Lucy sent her postcard in 1907? Whatever the date and whether her employer was Lewis or Ries, Lucy was working for an extremely wealthy man with business dealings in South Africa, England and on the Continent. 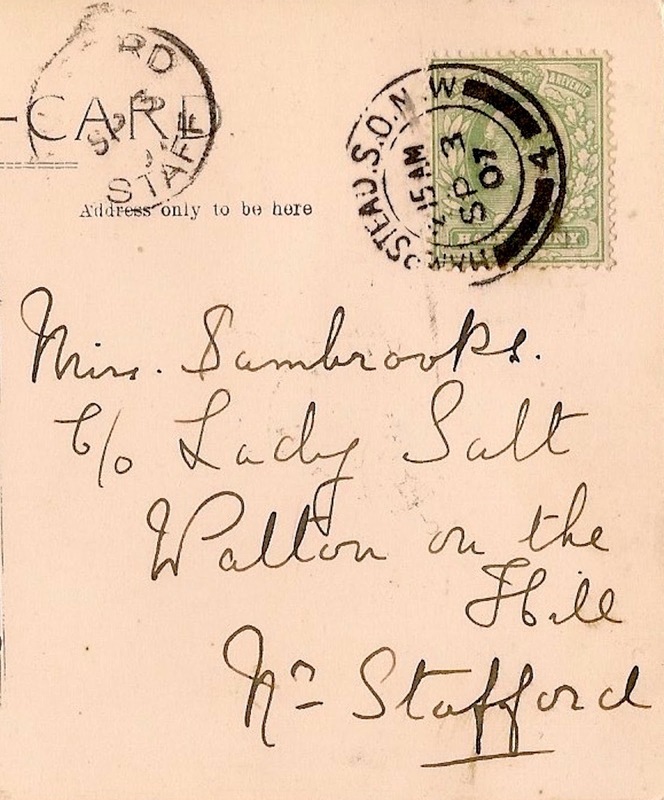 Lucy's friend Florrie was working for Lady Salt in Staffordshire. 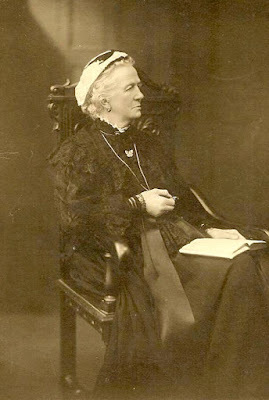 Lady Salt's husband, who was knighted for his services to banking, died in 1904. That is when she moved out of London to Walton on the Hill, to the house where she had lived as a girl. So quite possibly Lucy and Florrie knew one another first in London, but when Lady Salt removed herself to Walton on the Hill she took her staff with her. These would be the 'all' that Lucy sends her love to. Lady Salt's mother was the daughter of a West India merchant who became Governor of the Bank of England. 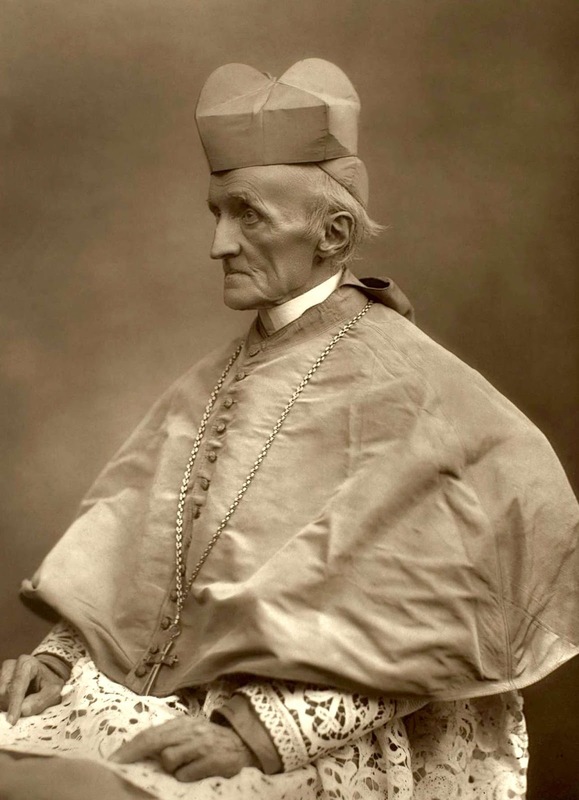 Her mother's older brother, that is Lady Salt's uncle, was Henry Edward Manning, a high Anglican Church clergyman who famously converted to Catholicism and became Cardinal Manning. Helen, which was Lady Salt's name, remembered the family visits her uncle would often make when she was growing up at Walton on the Hill. Like her friend Lucy in London, Florrie in Staffordshire was serving a family of bankers, though by the time Florrie went to Walton on the Hill, Cardinal Manning, son of a governor of the Bank of England, had long since gone to his maker. 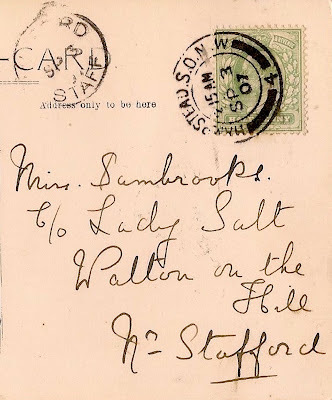 Lady Salt lived at Walton on the Hill until 1920 when she returned to London; perhaps Florrie and Lucy enjoyed a reunion then and exchanged more sewing patterns. 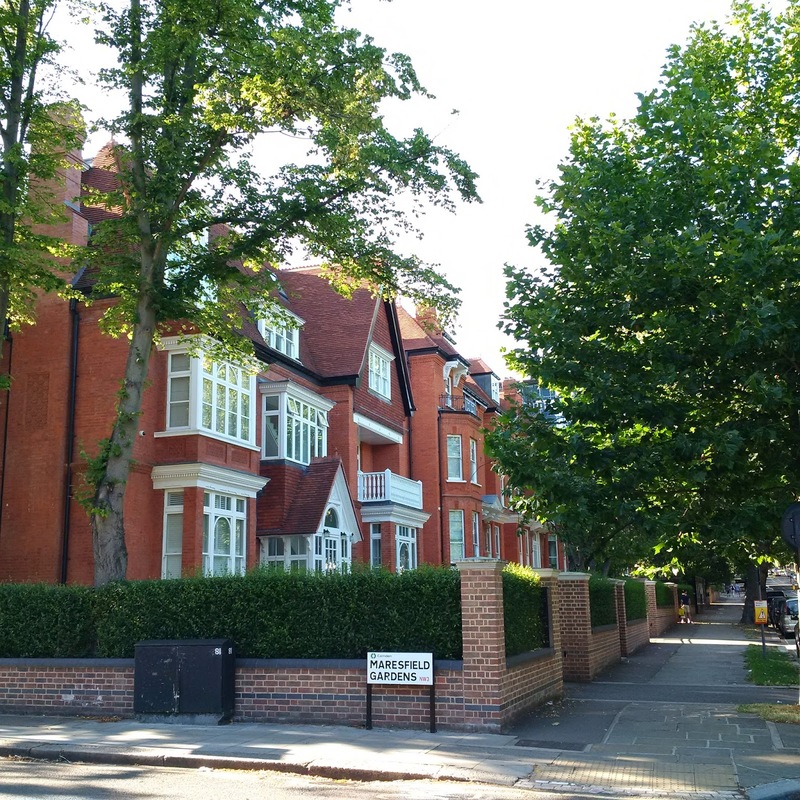 Then in 1921 August Ries sold 3 Fitzjohn's Avenue to Philip de Laszlo, the society painter who lived there and used it as his studio. De Laszlo was born into humble circumstances in Budapest but his ability as an artist got him a long way, including marrying Lucy Guinness of the banking branch of the Guinness family. 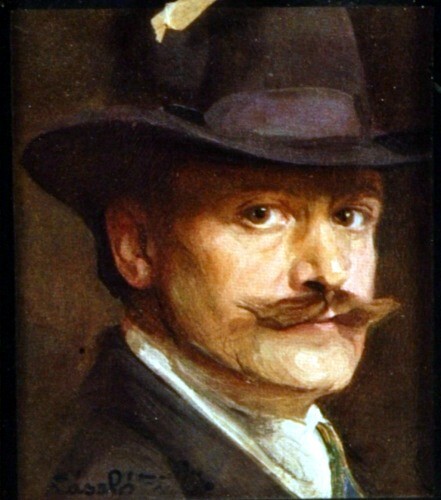 Philip de Laszlo's self portrait; he married a banker's daughter. Among the people who had their portraits painted by de Laszlo at 3 Fitzjohn's Avenue were Andrew Mellon, President Calvin Coolidge, Lord Louis Mountbatten and his wife Lady Edwina Mountbatten, Queen Marie of Romania, King Alfonso XIII of Spain, King George VI of the United Kingdom and his wife Queen Elizabeth when they were still the Duke and Duchess of York, and their daughter Princess Elizabeth, the future Queen Elizabeth II. You can see a film of him painting a mannequin of Lady Duff-Gordon's fashion house in 1928. 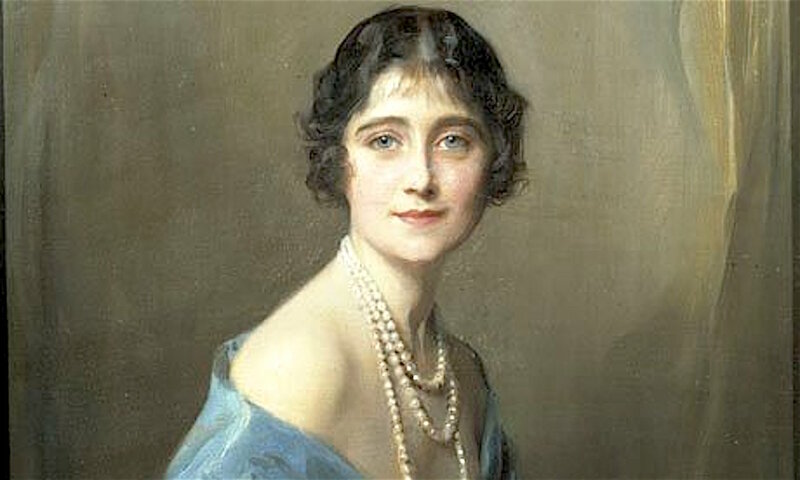 De Laszlo's portrait of the then Duchess of York, mother of Queen Elizabeth II. 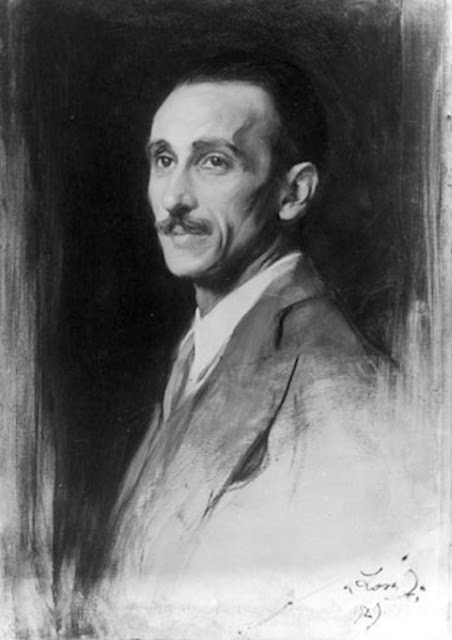 De Laszlo also painted a man I have mentioned elsewhere in this blog, the diplomat and great desert explorer and wonderful writer Ahmed Hassanein, author of The Lost Oases. The house at 3 Fitzjohn's Avenue has recently been converted into flats. And to give it a cachet it has been named De Laszlo House. The home of Isaac Lewis, August Ries and Philip de Laszlo. A blue plaque identifies the house as that of Philip de Laszlo. 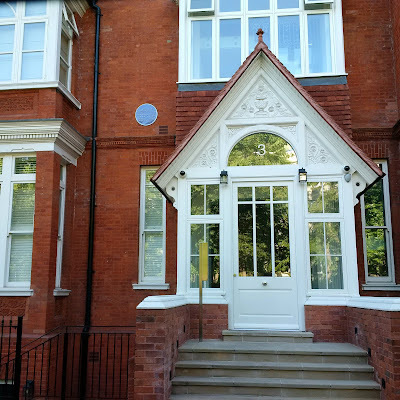 A blue plaque honouring Philip de Laszlo at 3 Fitzjohn's Avneue. 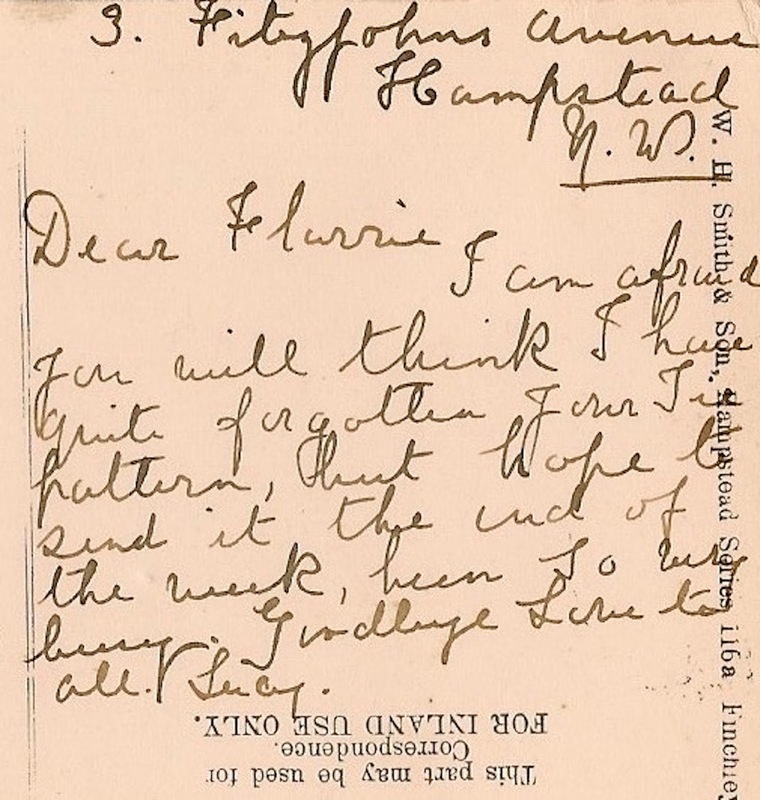 Lucy and Florrie are remembered by their postcard. 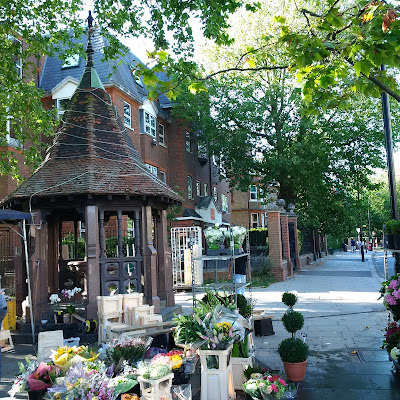 The old fountain turned flower stall. Beyond it is the Territorial Army centre and beyond that is the house where Lucy wrote her postcard to Florrie. 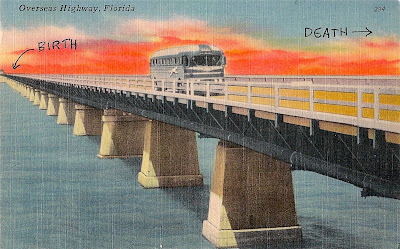 A postcard from a friend. Hope the voyage is a long one. Book a Greyhound bus to Ithaka now. 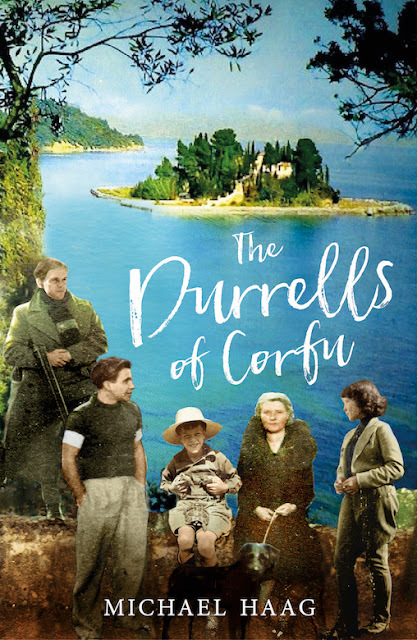 This is the cover artwork for The Durrells of Corfu. From left to right are Larry, Leslie, Gerry, Louisa (Mother) and Margo - as they really appeared when they lived in Corfu in the late 1930s. The book will be published in early 2017.